Notice the ice surrounding the oceans, this is Antarctica, which they believe is an ice wall that keeps the water in. 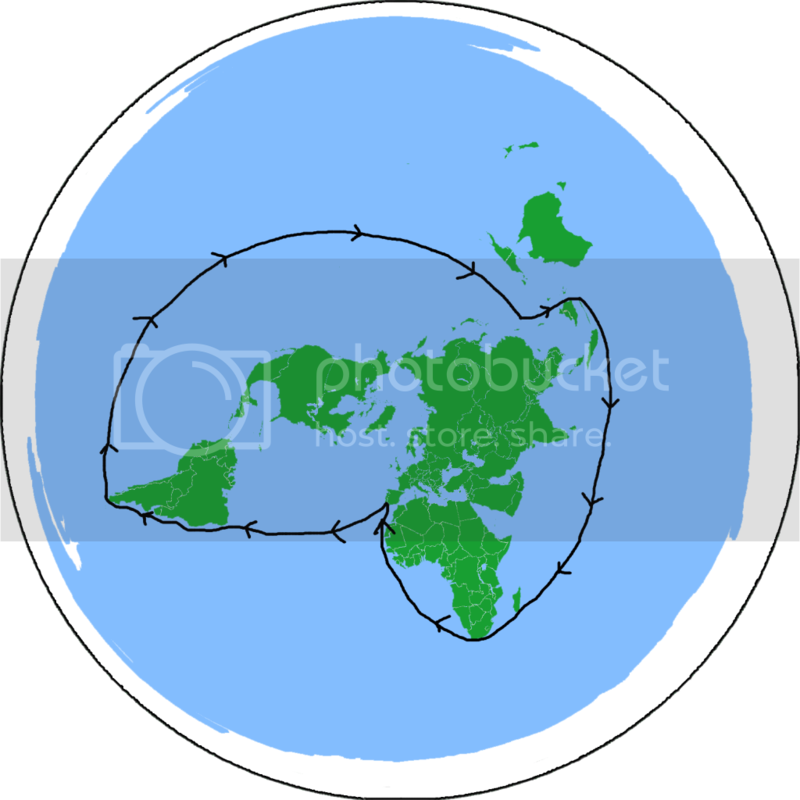 According to flat earthers, circumnavigating the globe is possible because they circle around the earth. The flat-earth model also claims that there is a "firmament", and the sun and moon are inside the firmament (being much closer than what is currently accepted). 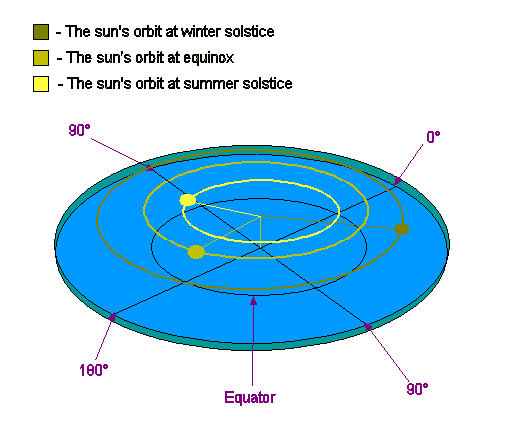 As you can see, the sun and moon are closer to the center at the summer solstice and farthest at the winter solstice. 1. 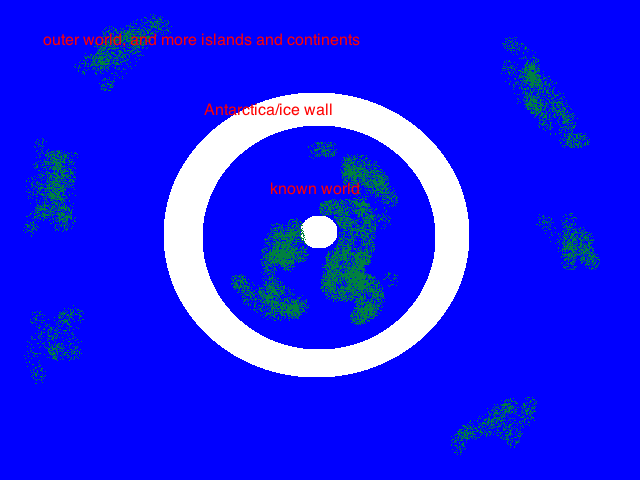 The earth extends forever as an infinite plane, as soon as you enter the Antarctica ice, it will extend forever (with the possibility of there being other non-ice worlds). Think of it as the floor of the universe, and we live on one tiny part of it. 2. The earth has an edge and it is real and possible to reach, but we either haven't discovered it yet (and may not be attainable at the moment), or the government and NASA knows and is hiding it from the public. However, others believe it is on a kind of infinite floor and not floating in space. Also, flat-earthers don't believe in gravity, they may accept some alternative gravity-like theory. What about origins? The big bang surely couldn't be true as presented by scientists today if the earth is flat like this or extends forever. 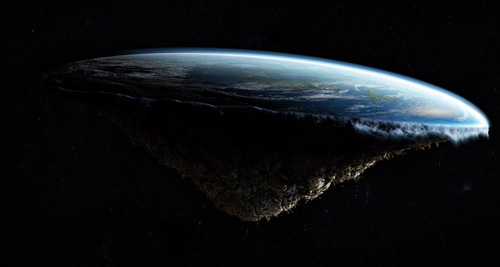 Many are creationists, who believe God created the earth to be flat and put the sun and moon in the "firmament" (Genesis 1:26-27), however, most other Christians (including other young-earth creationists) disagree with this and dispute any scriptural support for the flat earth. Of course, not all flat-earthers are specifically religious or creationist, and they may have their own explanations. Also, the earth turns out to rotate around the sun rather than the sun rotating above the earth. Despite this, flat-earthers will resort to claiming that there is a conspiracy by NASA and the government to hide the flat-earth and invent the globist heliocentric model. They claim that there is no true picture from space of the earth, and the others are frauds. Why would they do this? Flat-earthers have their views on this, ranging from hiding how special we are (trying to make us look insignificant and so invent a globist heliocentric model) or to make more money. There is numerous evidence for a round earth even without pictures from space. For example, if you look out into the ocean, you may see a ship coming out of the water (rising out of the sea), this can only be explained by a spherical earth, the flat-earth model predicts that it would hit the vanishing point before it would ever appear to submerge into water. Also, we can see farther from higher altitudes, even with a sort of flat plateau, this can only be explained by a spherical earth. If you stick a stick in the ground, it will have a shadow in the sunlight. If the earth was flat, two sticks in separate locations would produce the same length shadow. If the earth was spherical, we would expect the opposite (different length shadows in separate locations). It turns out that different length shadows exist, fulfilling the spherical earth model (Eratosthenes did this to calculate earth circumference). Not only that, but if the flat-earth model was correct, we would expect to see a distant spotlight where the sun may be shining at a distance, just like you see the light of a spotlight in a theater even though it is not shining directly above you. However, we don't see this, rather, the sunlight disappears entirely simultaneously. The flat earth model fails the test on this one, but the spherical earth passes, since we would expect the sunlight to be "under" the visible distance. Flat-earthers will of course try to explain this away, but the goal here is not to be dogmatic, but accept where the evidence leads. Bi0Hazard: This is bewildering. Science has become part of popular culture and everybody distorts it to suit their purpose. Povski: Inches (distance) times distance squared = distance cubed. Now how can this result be a measure of curvature? 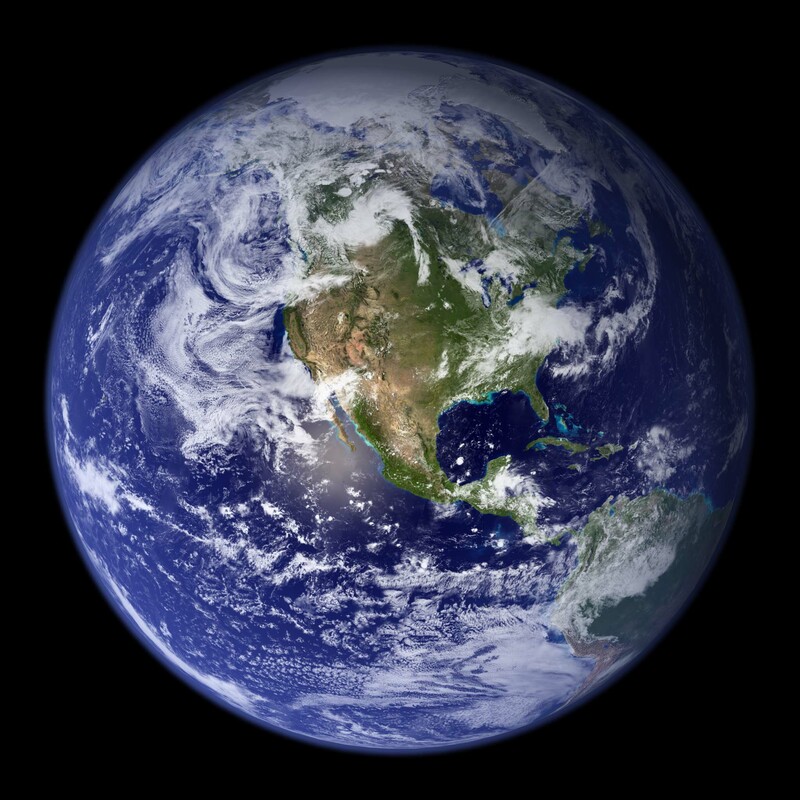 Even so, the curvature for a quarter of earth's circumference (in video 24,901 miles) is actually earth's radius (in video 3,900 miles). When i applied the formula, however, i got 4800 miles so it's obviously wrong. Povski: The Earth has a curvature of 8 inches per mile squared (since curvature is measured as a straight line extending from a point). As you can see, the line of sight is independent of the curvature. The higher altitude you are, the farther you can see. Bi0Hazard: That solstice thing only works for one hemisphere. As somebody on the other side of the planet I can confirm this is not true. Bi0Hazard: Could you please tell me where did you get that number? I am interested in a source with explanations of curve and such. 3. The sun is moving in a circle, which means it has to accelerate at all times, which means it requires a propulsion system, none has been shown to exist. admin: That solstice thing only works for one hemisphere. As somebody on the other side of the planet I can confirm this is not true. What do you mean? It is supposed to light both hemispheres but change position for seasons. 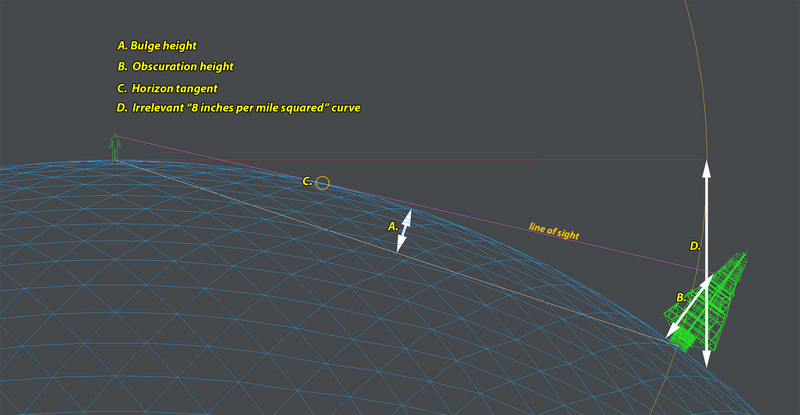 The big thing to remember is that line of sight and the curvature drop are not the same thing. How did you determine this? When you shine a spotlight in your backyard, usually people can have good grounds for believing that it won't flood the neighbors yard. The sun would concentrate its beams on the surface while being proportionally limited by the thick atmospheric strata at angles to the light. This is similar to the reason why the sun appears much less bright at sunset and sunrise than in midday, its light has to travel through a longer distance of the strata being at a angle through the layer. Good one, but unfortunately that won't work as an argument because the sun is said to be quite low to the Earth (3,000 miles), and as it furthers away, it appears to converge into the vanishing point due to perspective. The vanishing point would be a single point where all perspective lines converge, therefore meaning a higher object moving above you will have to converge at a steeper angle than a lower object. So, not only will the sun's descent be constant, but it would also be able to get far enough away to not be seen (vanishing point). Uh, no it wouldn't? I don't quite get what you mean here but the sun would rotate around the Earth in the same rate, once every 23 hours 56 minutes. I will assume you are saying, "At the size the sun is in the flat earth model, it could not produce the heat and light that we observe for long enough periods of time" The sun does not produce energy by nuclear fusion in the flat earth model, it is commonly explained as a electric converter that converts energy from a different source, a different dimension. True, but if its a type of electric converter, there is no saying it couldn't contain hydrogen and helium.